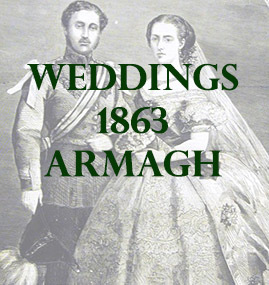 The following list contains marriages that mention places in county Armagh. At Lurgan, Ernest Augustus Fahr, Esq., son of Henry Augustus Fahr, Esq., Revisor of Finance, Brunswick, to Dora, daughter of R.S. Hannay, Esq., M.D., Lurgan.